Customers need look no further than Houston, Texas, for the U.S. MASTERDUCT manufacturing plant location. There are MASTERDUCT technical hose distributors located in all parts of North America, ready to serve customers promptly and courteously. Being able to turn a hose 120 degrees from time to time will even out wear at internal bends. Highly Durable to withstand the most abrasive media! Reliable and longer lasting to decrease maintenance issues and downtime! Cost-efficient to save money over the long run! Guaranteed high quality products and knowledgeable, friendly representatives to provide superior service every step of the way! Masterduct uses quality materials and innovative assembly and production machines to create a superior product. 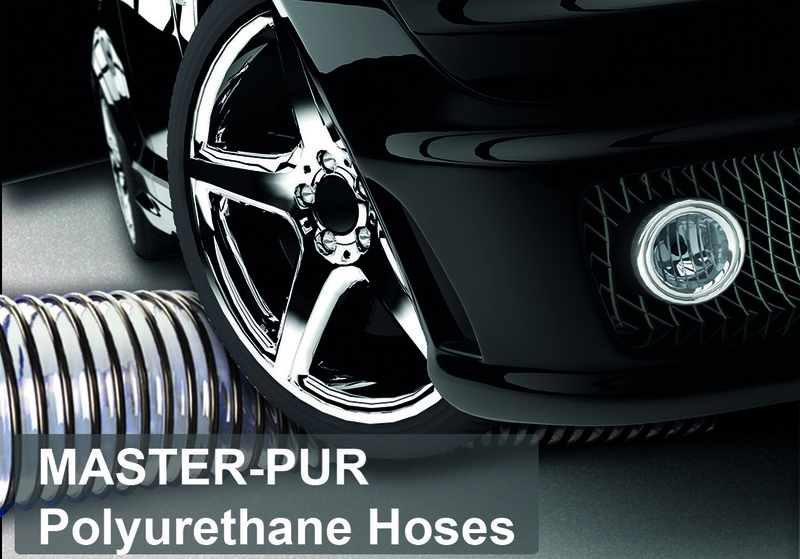 Masterduct offers two types of hoses. Solve specific problems in high-heat, chemical, and vehicle exhaust applications using an “engineered solution” that can save money in the long run. MASTERDUCT has the widest range of high-temperature, flexible fabric hoses on the market. Fabric hoses are sold under the MASTER-CLIP trade-name. Specific “engineered solutions” are offered through a wide variety of fabrics available in flexible MASTER-CLIP hoses, for venting corrosive chemical fumes. Boost profits. Production and maintenance managers look like heroes if they can get through a cost/benefit analysis and come up with a recommendation that makes sense and saves money. OEM names like Weinig, PlymoVent, Nilfisk-Advance, and Premier Pneumatics all specify MASTERDUCT hoses on the new equipment they ship. For overall convenience & lower true operating costs, the best. hose styles may offer the least expensive solution. Your Purchasing Agent may benefit if you explain why this is true. A local distributor or factory agent will talk with you, over the telephone, about styles and specifications, and answer your questions. A Human contact. MASTERDUCT, INC. is part of the MASTERFLEX family of companies, with worldwide operations.